MAHATMA JYOTIBA ROV PHULE SHIKSHAN PRASHIKSHN V MANAV SEWA SANSTHAN MAHARAJGANJ AZAMGARH UTTAR PR is located in azamgarh Uttar Pradesh . MAHATMA JYOTIBA ROV PHULE SHIKSHAN PRASHIKSHN V MANAV SEWA SANSTHAN MAHARAJGANJ AZAMGARH UTTAR PR is registered as a Society at azamgarh of state Uttar Pradesh with Ngo unique registration ID 'UP/2014/0084875' . 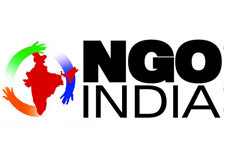 The NGO registration is done by Registrar of Societies with registration number 561/2013-14 on the date of 18-07-2003, Its parent ORganaisation is A Compleate Social Organation. The Chairman of MAHATMA JYOTIBA ROV PHULE SHIKSHAN PRASHIKSHN V MANAV SEWA SANSTHAN MAHARAJGANJ AZAMGARH UTTAR PR is susheel sirvastava and Chief functionary officer is sailani saini. Promoters are rajesh saini, sanjay saini, ramji saini,ram gopal mishra.